Sitting down? You may want to brace yourself for this news. This year’s MusicRow CRS Meet & Greet and CountryBreakout Awards is going to be a doozie, and those who miss out will likely spend the rest of their days in regret and shame. We are extremely pleased to feature emerging talents Colt Ford (Average Joe’s Ent.) and Joanna Smith (Columbia Nashville). Both entertainers hail from the great state of Georgia, but are miles apart on the stylistic continuum. Together they represent the wildly diverse talent parameters included under the big tent of modern country music. 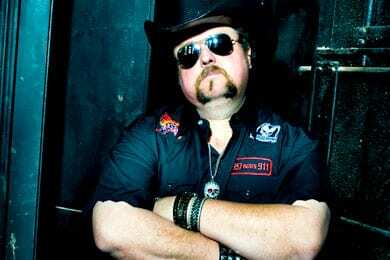 Colt Ford’s unique party-starting hybrid of country-rock and hip-hop, combined with a high-energy live show, has catapulted him into a celebrated indie star. Originally from Athens, GA, the former pro-golfer turned musician built a massive following through relentless touring, eventually selling over 150k units of his debut Rollin’ Through The Country. His 2010 sophomore album Chicken & Biscuits hit No. 8 on Billboard’s Top Country Albums chart and features an all-star list of collaborators like Joe Nichols, Randy Houser, DMC (of Run DMC), James Otto and more. Ford feels the key to his success has been in bringing something real to his shows and recordings. Joanna Smith, raised on a farm in tiny Crestview unincorporated, GA, is a captivating young traditionalist, proudly displaying her rural roots in songs like “Farm Girl” and “Gettin’ Married.” After arriving in Nashville, she honed her live performance chops in front of the rowdy nighttime crowds at legendary Broadway hang Tootsie’s. Her upcoming debut album for Columbia features her new single “Georgia Mud,” as well as a special guest appearance from another beloved traditionalist, Patty Loveless. Like Colt Ford, Smith’s music is an authentic extension of her upbringing and the sounds that inspire her. This special invitation-only event takes place Tuesday, March 1 leading up to Country Radio Seminar 2011.